Synonyms: cholaxine, clucitol, diakarmon, gulitol, karion, nivitin, sionit, sorbicolan, sorbite, d-sorbitol, sorbo, sorbol, sorbostyl, sorvilande, Shouguang Hotitol Co., Ltd.
Shouguang Hotitol Co., Ltd., Sorbitol, a polyol (sugar alcohol), available as viscous syrup or crystalline powder, it is a benign polyhydric alcohol with six hydroxyl groups. It is a bulk sweetener found in numerous food products. In addition to providing sweetness, it is an excellent humectant and texturizing agent. Sorbitol is about 60 percent as sweet as sucrose with one-third fewer calories. It has a smooth mouthfeel with a sweet, cool and pleasant taste. It is non-cariogenic and may be useful to people with diabetes. Sorbitol has been safely used in processed foods for almost half a century. It is also used in other products, such as pharmaceuticals and cosmetics. Sorbitol is commercially produced by the hydrogenation of glucose and is available in both liquid and crystalline form. Sorbitol has been affirmed as GRAS (Generally Recognized As Safe) by the U.S. Food and Drug Administration and is approved for use by the European Union and numerous countries around the world, including Australia, Canada and Japan. -	Sugar-free production (sweetener for candies, confectionery, chocolate, baked goods, tablet, chewing gum, jelly, frozen desserts etc.). -	Packing of Shouguang Hotitol Co., Ltd.: 25 kg net kraft paper/PP combined outer bag with PE liner, 800bags, 20Mt, per 20' container. 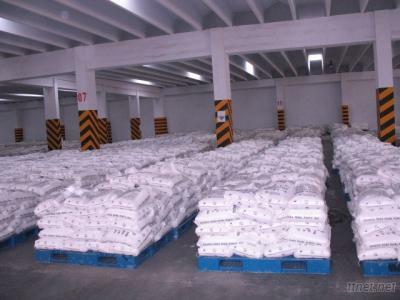 -	Storage:Both liquid and crystal sorbitol should be stored in a cool, shaded, dry environment, away from sunlight. Do not store it together with poisonous or harmful goods in order to avoid pollution. For better results, especially for longer periods, crystal sorbitol storage should be around 65% relative humidity and 25 celsius.